Description: 4to,  + 332 +  pp. Woodcut printer's device on title; fine floriated and animated woodcut initials, and ca. 50 fine woodcuts in text of serpents, insects, animals and plants, by Jean de Gourmont after Geoffroy Ballain. Water staining, mainly in the beginning, lacking pp. 181/182. Old annotations on fly leaf. 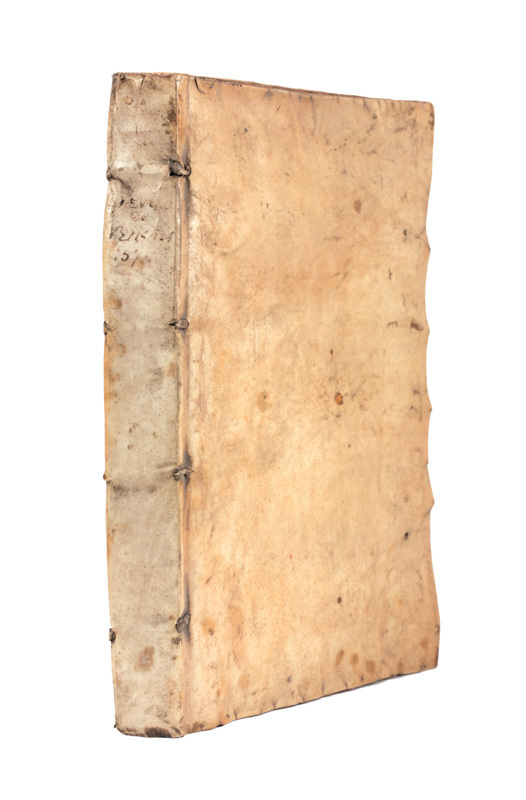 Contemporary limp vellum, title in ink on spine, traces of ties. Binding a bit soiled. 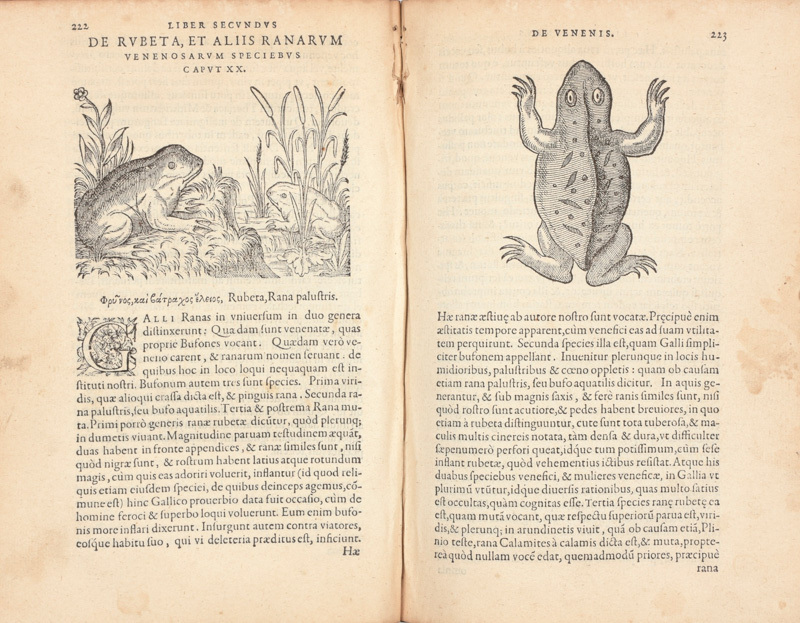 Note: First Latin edition of Jacques Gr�vin's important work on toxicology: "Deux livres de venins", first published in French, by Plantin in 1568, here in the translation of the Augsburg physician Hieremias Martius. Although Gr�vin followed to a large extent the works of Nicander, which he had also translated into French, he proves himself to be a modern scientist by his critical attitude, as well as by his added treatise, in which he discusses the curative possibilities of antimony. To the present edition Martius added the Latin translation of two poems by Nicander on the subject: "Theriaca", and "Alexipharmaca".